I’ve designed and made lots of play food for my daughter, but when it came to appliances I didn’t know where to start. Luckily, I won this pattern from Gulf Coast Cottage is WONDERFUL! Check it out, and be sure to enter the giveaway if you’d like to win your own Gulf Coast Cottage Felt Play Food pattern! The pattern instructions are clear cut and easy to follow. In addition to the toaster, there are included patterns for toaster pastries, bagels, waffles, and syrup. All of the items are designed to fit in the toaster. How cute is that! My little one informed me she just wanted “Pop-Tarts”, so we made two with her favorite colored icing. This has definitely been a fun addition to her play kitchen! This is adorable!! Who doesn’t love pop tarts?! So cute! What a fun mom you are! Found you through Delicate Construction. How adorable!!! That’s a really fun pattern to win! You did a great job! That is just too cute! Now I need a Poptart! 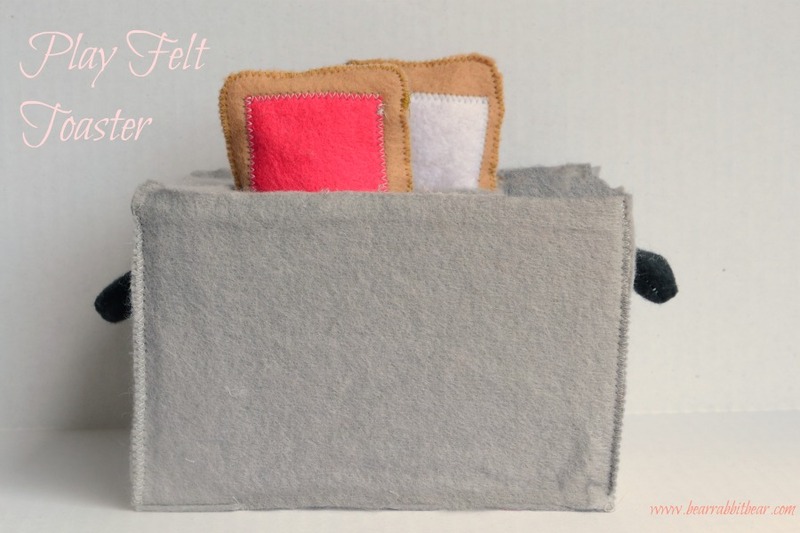 The felt food linky party is open! 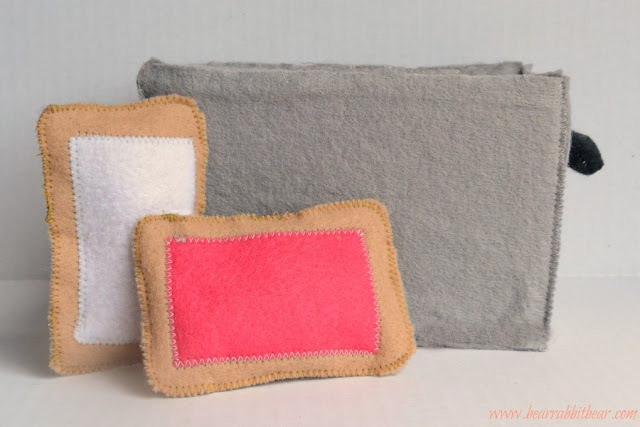 I’d love for you to link this (and any other felt projects you’d like to share) up at my Felt Food Roundup on OneCreativeMommy.com. I hope to see you there! Thanks for linking up! The pop tarts look like a perfect beginner project.